The Marist St. Joseph’s Sports Club’s preparations for its first Marist St. Joseph’s International Sports Week received a $10,000 injection yesterday thanks to two of its loyal sponsors. G-Mana Wholesale Autos from New Zealand and international company Pacific Ezy Money donated $5,000 each to the cause. 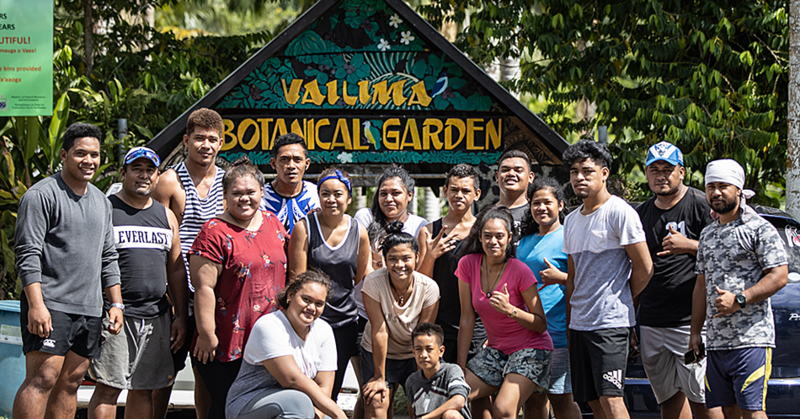 The monies were presented to the President of Marist, Faimalomatumua Mathew Lemisio, during a presentation at the S.S.A.B conference room yesterday. 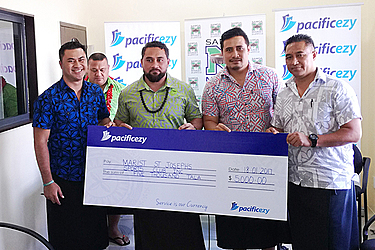 The Managing Director of Pacific Ezy Money, Faimalo Alan Stowers and local Manager, Magele Dan Ah Kau were there to make the presentation. Faimalo said Pacific Ezy was delighted to be able to sponsor the tournament as it believes in the goals behind its establishment. 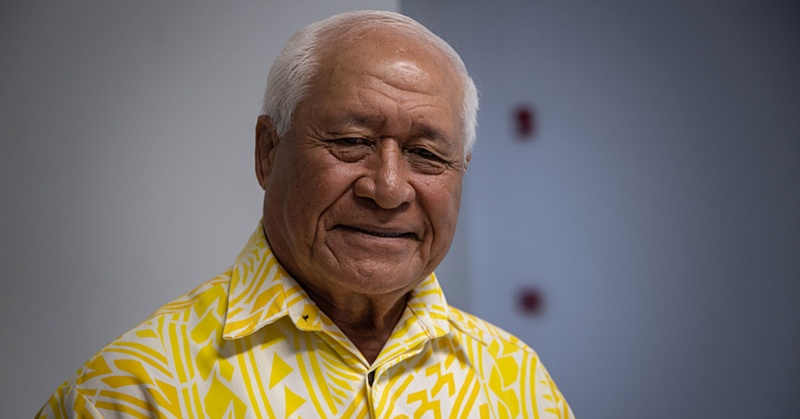 On behalf of the Club, President Faimalomatumua expressed his heartfelt gratitude to G-Mana and Pacific Ezy. Marist’s first International Sports Week is scheduled to start on 10 February until 18 February. The week-long festivities will feature sports such as rugby league, touch rugby, netball and boxing, with the main event being the Vailima Marist International Sevens tournament. “This is part of the Club’s bigger purpose, to aid our sports athletes, officials and administrators to achieve the goals that they have set,” the Club President said. The International Sports week will start with our Fight For Marist II on Friday February 10 and culminate with Rugby 7’s on Saturday February 18. 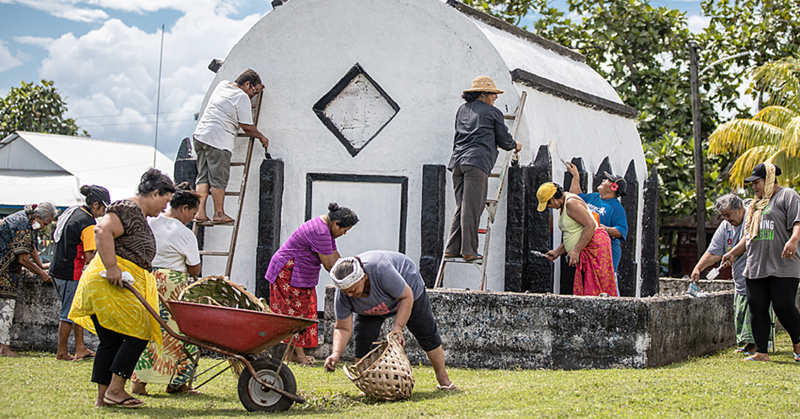 “Considering Samoa’s competitive involvement in the region and on the international fronts through some sports that the club is involved with, the notion to have five sports celebrated in the week-long festivity is a step in the right direction. Sevens Tournament Director, Falefata Hele Matatia was also present during the presentation yesterday. “The Club’s vision for the 30 year celebrations in 2018 was to organize a truly International Sports week and to invite top international teams and boxers to compete,” he said. The official launch for the Marist St Joseph’s International Sports Week is scheduled for Tuesday, 24 January 2017.